The Iranian fiscal year starts March 21. The first 6 months of the solar year has 31 days each and the following 5 months has 30 days each. The last month however has 29 days, but the month has 30 days in leap years; that is, every four year. 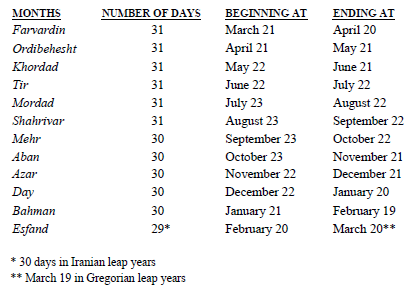 Names of the Iranian months and their correspondence to the months of the Gregorian calendar are as follows. * Base minimum salary refers to a minimum salary under the Labor Code. 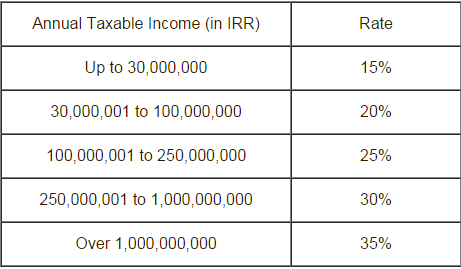 The amount is reviewed annually by the Ministry of Economic Affairs and Finance. The base minimum salary is 7,120,000 rials per month in the current fiscal year. All entities involved in supply of goods and services and in trade activities are subject to the provisions of the VAT Law. In Iran, all transactions involved in the supply of goods and services or in the import and export activities are subject to the provisions of the VAT Law. The tax levied on imported goods is calculated based on the customs value of goods, which include the purchase price, freight charges and insurance, as well as the import duties, which include customs duties and commercial profits tax. 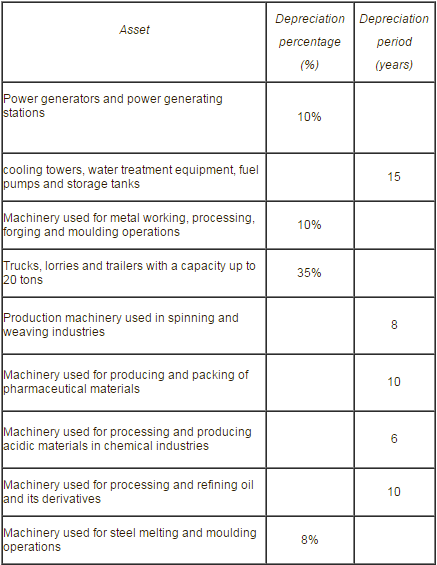 Equipment exclusively used for defense and security purposes, as listed by the Ministry of Defense and the Ministry of Economic Affairs and Finance. VAT rate in Iran is 9% for 1394 (March 21, 2015 – March 19, 2016). Non-resident entities do not need to register for VAT in Iran. The companies or business people who import goods and services into the country should pay VAT, and not the non-resident exporters. VAT on imported goods is collected at the time of clearance by the Customs Administration. The Iranian government has agreed with some countries to avoid double taxation, in a move to boost bilateral trade ties. The governments of the countries listed below have signed agreements with the Iranian government to avoid double taxation.